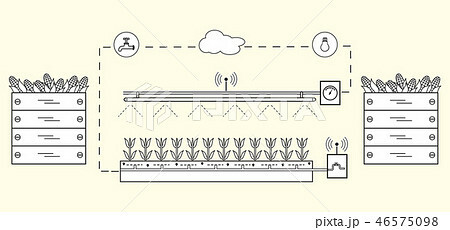 イラスト素材: Smart farm and agriculture New technologies. Smart farm and agriculture. Monitoring and control of temperature, humidity, light level. Cultivation of plants. New technologies. High yield.